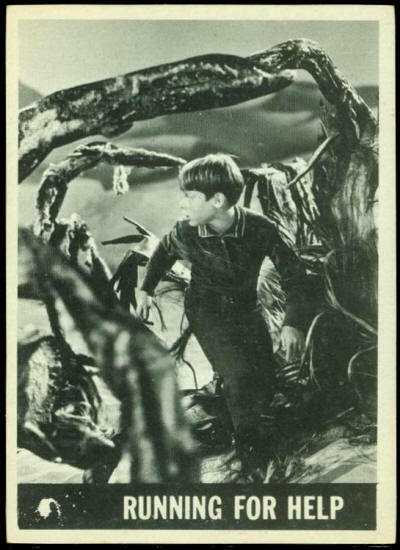 As the plants reached up towards Will, the young boy used his toxic spray against them. Plants withered and died in seconds. For an instant Will felt jubilant. Then his brief feeling of relief was shattered by a girl’s scream. Will raced in the direction of the scream and was just in time to witness a terrifying sight. 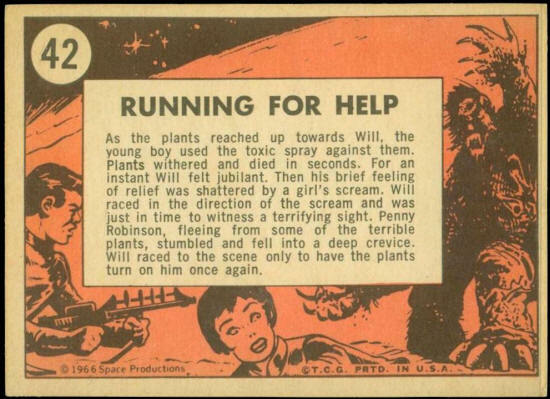 Penny Robinson, fleeing from some of the terrible plants, stumbled and fell into a deep crevice. Will raced to the scene only to have the plants turn on him once again.